Starting a company can be a daunting but highly rewarding experience. This is a journey you don't need to take on your own. The Imperial White City Incubator has access to support and training to give your company and team the best possible chance of success. 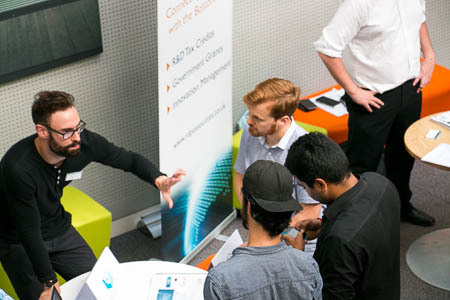 The White City Innovators' programme in partnership with NatWest is designed to support tech start-up companies through workshops, seminars and events. The Innovators’ Programme is designed to give entrepreneurs and early-stage start-up companies free access to work space and workshops to help them grow and develop. The pre-accelerator is about ensuring you and your company is ready to take the next steps to grow your business, from learning about the responsibilities of company directorship to what angel investors really look for. A pitch at the end of the five weeks gives you a taster of what it might be like if you get through to an accelerator or find yourself in front of a potential funder.. The 5-week programme gives entrepreneurs and start-up technology companies free space to work at the Imperial White City Incubator and access to change makers and innovators. You will interact with sector experts through a series of workshops, mentoring and networking opportunities. 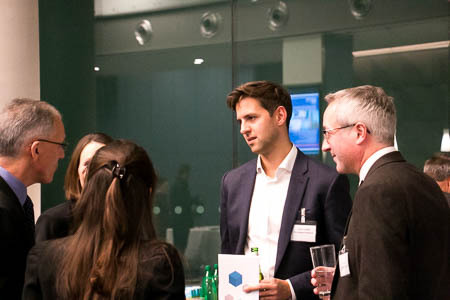 The Innovators’ Programme is open to Imperial College post-graduate students, researchers, staff and alumni as well as local entrepreneurs and companies based in the Borough of Hammersmith and Fulham. You are an Imperial College Alumni who has developed an innovative idea and wants support to turn that idea into a business. If you have an innovative, product, idea or company we want to hear from you. Excited about the program but not sure if you should apply? Reach out to the program team below for more information. Never won a competition before. Runner up prize consists of £4,000 worth of support (including £2,000 cash to help accelerate your business). All participants will get access to three months free coworking space at White City Incubator. There will also be a prize for the company who demonstrates the most potential to create impact – this can be social, environmental or technological advancement. The Impact Award consists of £1,500 worth of support (including £1,000 cash to help accelerate your business). Innovation Academy is a series of courses focused on the fundamental knowledge you need to build, grow and exit a spinout company. Innovation Academy supports the entrepreneurial ecosystem at Imperial College London. Our courses are delivered by a mix of Imperial Innovations staff and external industry experts. Innovation Academy courses are offered free of charge to members of the Imperial community - academics, staff, students and alumni. The courses focus specifically on the formation and management of university spinouts – companies founded based on intellectual property developed at Imperial College London. Anyone with an interest in forming a spinout company. Whether you have an idea already or you’re just looking to grow your knowledge in the area, you will find these courses provide a useful grounding in the necessary business and management fundamentals required. The Innovation Academy offers courses designed to bring you up to speed on the key aspects of forming a business, protecting intellectual property, raising finance, and operating your new spinout. All courses are listed in our events page. All forthcoming events will be listed on our events page with details on exact course content. You can sign up to our Innovation Academy mailing list using the form at the bottom of this page to be kept up-to-date on all forthcoming events and to be the first to know when new courses become available.